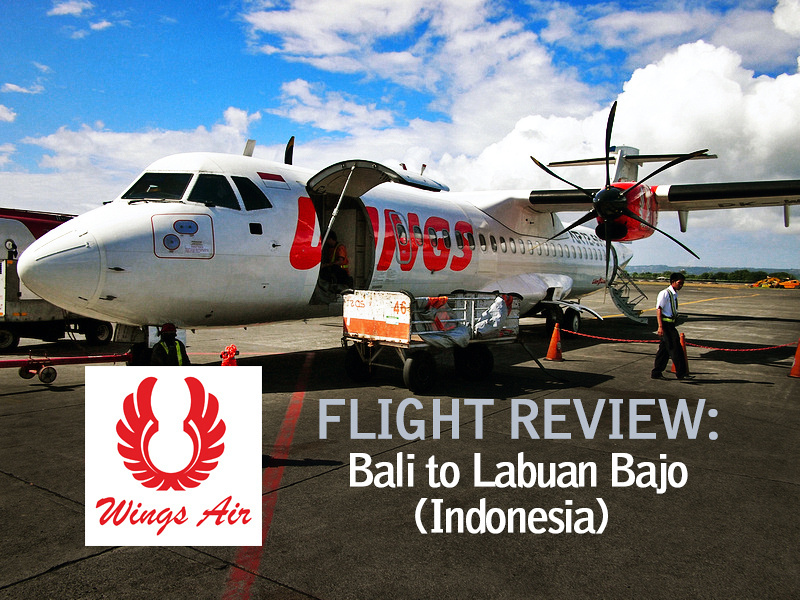 I flew with Indonesian airlines Wings Air from Bali to Flores. 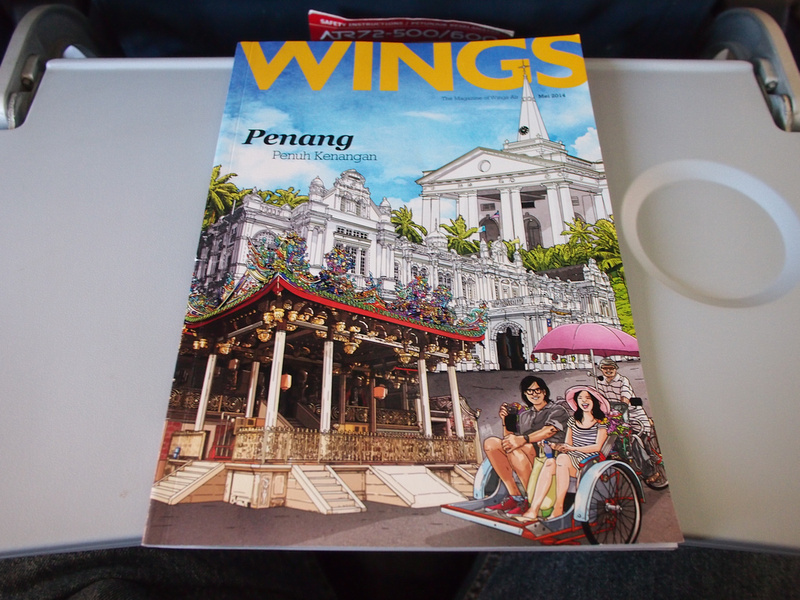 Wings Air is a subsidiary of Lion Air – the largest privately owned airline in Indonesia. 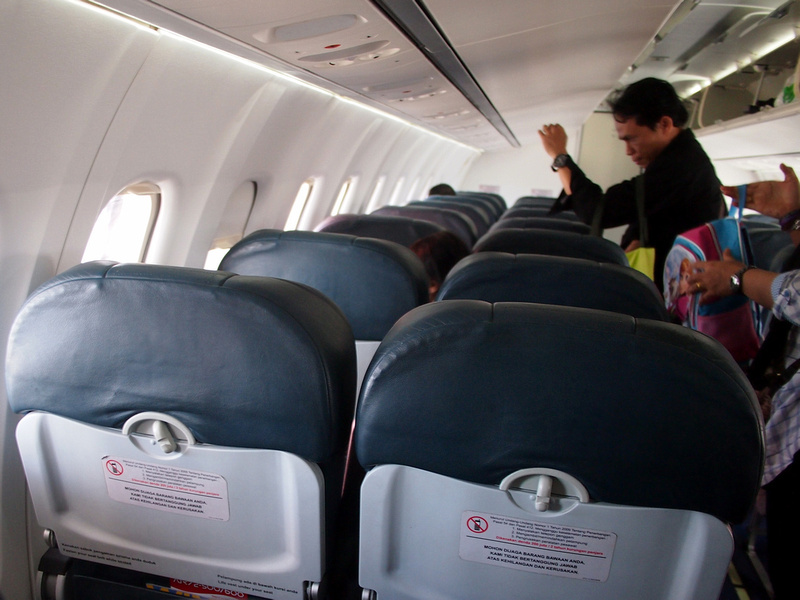 Wings Air operates as a regional airlines, flying to the smaller cities using ATR 72 twin-engine turboprops. Wings Air bookings are made via the Lion Air website. When you make the booking there is no indication of what your luggage allowance is. In the case of Wings Air there is a 10kg checked luggage allowance, and anything over you have to pay at the airport. In this case I was given a slip and told to go to another counter and pay in cash before being able to come back and check in. I get that airlines charge for checking bags, but not telling you when making a booking is just annoying. I would rather just pay when booking. Another related annoying thing (though not by Wings Air) is the Indonesian tradition of paying the airport tax in cash at the airport, rather than having it built into the ticket during booking. On the flight itself there is no drink/snack service, which made sense given how short short the flight was. I flew with Wings Air (part of Lion Air) as a part of a party of four surfers. We travelled from Bali to Sumbawa Besar via Lombok on Tuesday 19/7/16 and made the return trip on Friday 29/7/16. In summary of our experience DO NOT fly Wings Air to get to your destination, particularly if you are a surfer. The cost is Rp 200 000 per surfboard per flight. 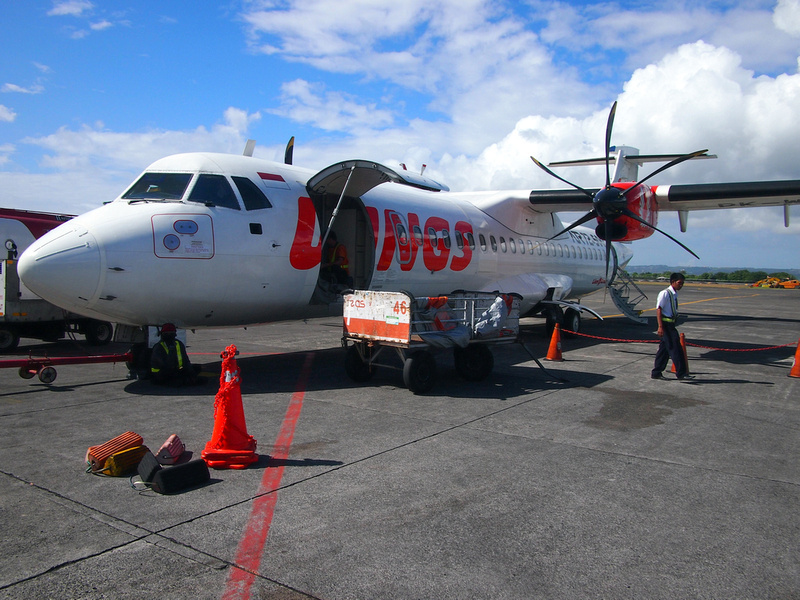 This means that flying from Bali to Sumbawa, which entailed two flights connecting in Lombok, cost Rp400 000 per board each way. We could not find this information anywhere on the Wings Air/Lion Air website, which of course would have informed our choice of airline. The Wings Air employee at check-in at Denpasar told us that the cost is indeed not on their website. My brother paid Rp 1 200 000 for three surfboards from Sumbawa Besar via Lombok to Bali. His board case was left in Lombok and involved considerable time and hassle to get back in Bali. I paid Rp 800 000 for two surfboards from Sumbawa Besar via Lombok to Bali. One of my boards arrived with damage in three places. We first attempted to travel from Bali to Sumbawa Besar on Monday 18/7/16. There were legitimate reasons for flights to be delayed that day – some repairs were being made to the runway. The level of frustration and angst at the gates being used by Wings Air was fuelled by a lack of communication and miscommunication. After several hours of seeking information, we were told that our 3pm flight would leave at 6:45pm. We sought confirmation of this on a further four occasions as we were keen to not miss our flight. When 6:45pm came we went to the gate to check what was happening to be told that our flight (and our surfboards) had already left at 5:10pm. A number of other passengers were also left stranded by this action. We went to the Wings Air/Lion Air office to work out how we could now get to Sumbawa Besar, and how we could ensure the security of our four surf bags with 11 surf boards. We were amazed to find that Wings Air tried to make us pay for new flights as we had “failed to turn up to the gate” for our flight!! (even though we were only sitting 10m away, having been assured again that our flight would not leave until 6:45pm). It took over 2hrs in the Wings Air/Lion Air office to be provided with new tickets for the following day. During this 2hr period the story changed from “you have to pay again for new tickets” to “there are no flights tomorrow to Sumbawa Besar” to “all flights tomorrow to Sumbawa Besar are full”. After 2hrs we finally left with tickets but with no idea where our board bags were or if any steps had been taken to ensure their security.